Organ virtuoso Thomas Heywood enjoys an outstanding reputation as one of the world’s finest concert organists. He has an ever-growing repertoire of over 5,000 works and was the first Australian musician in history to make a living as a professional concert organist. Also a talented and prolific transcriber, Heywood’s published solo concert organ arrangements of the most famous classical and romantic music are performed by organists around the world. Heywood performs regular international solo tours in concert halls, town halls, cathedrals and churches throughout the UK, North America and Europe. 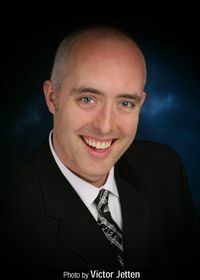 In addition to his work as a concert artist, in 2011 he became the Founding President and Australian National Director of the Australian and New Zealand College of Organists. As a teacher, he is on staff at the Melbourne Conservatorium of Music at the University of Melbourne. Heywood is also Organist and Director of Music of St Andrew’s Anglican Church, Brighton – one of Australia’s oldest and most famous churches. Not confined to the “organ world,” Heywood’s phenomenal success in reaching out to the vast concert-going public has made the critics boast that he “reincarnates Edwin H. Lemare,” the greatest concert organist of the twentieth century.